Fiddles (AEAE/ADA E/GDAE), jaw harp, harmonica, percussive foot-tapping, song. David is best known as a member of the legendary Québécois folk big band “La Bottine Souriante”, which has been touring the world for almost 40 years now. David is a highly respected fiddler, foot-tapper, singer, composer and arranger from Montréal. He was born in 1983 in Saint-Hubert on the south shore of Montréal, where he started to play the fiddle at 8. At 16 he started his first trad music band where he played the guitar, and in CEGEP (pre-university) and university he studied jazz composition, arrangement and violin. He received several awards from the Canadian Folk Music awards: In 2007 for “album of the year” with his band “La Part du Quêteux”. In 2010 David was also nominated with his “Duo Duval Boulanger” for “instrumental group of the year” for the album “Pièces sur Pièces”. July 2011, he composed and arranged music for the circus, “Cirque Alfonse” for their show “Timber” which has toured around the world since. Currently, he has been performing for seven years with LaBottine Souriante – the epic grand trad band of Québec presenting music from Québec with a brass section, which has included releasing the much praised album, “Appellation d’Origine Contrôlée”. This album was nominated in the category “group of the year” in the Canadian Folk Music Awards 2012. David Boulanger is an exceptional Quebecois player as well as a respected jazz violin player, composer and arranger in Montreal. 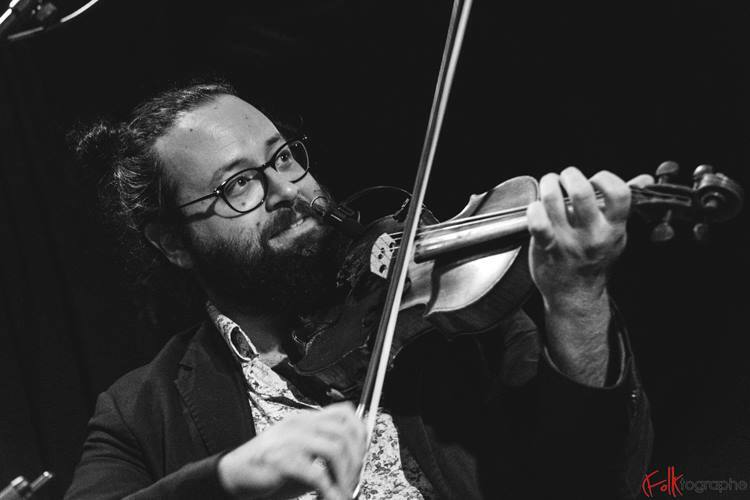 He has gained widespread acclaim for his joyful and superb fiddling; a man of great talent, enthusiasm and humour.